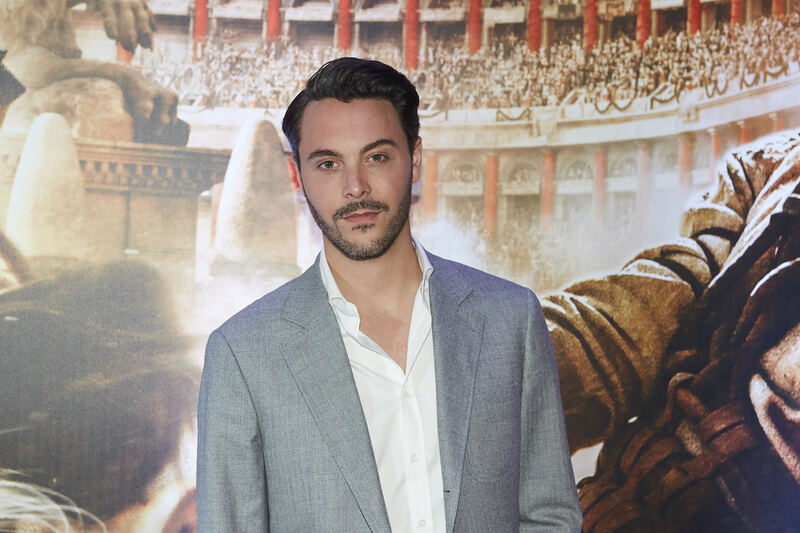 Jack Huston is the latest actor to take on the role of Judah Ben-Hur in the big-screen retelling of the biblical fiction Ben- Hur . In the story, Judah epically beats the odds when everything, and I mean everything, is working against him (the story has been re-imagined for over three decades now, so this technically isn’t a spoiler). Although Huston isn’t pals with Jesus Christ and doesn’t partake in the usual chariot race in real life, his story actually has a very strong parallel to that of his character — when it comes to overcoming improbability, that is. While promoting the film in Los Angeles over the weekend, the actor told Bustle why he almost let his own fear of failure cause him to quit a career in Hollywood altogether, and he revealed the one callback that changed it all. “This job is a funny one,” says the 33-year-old. “I took a jump… where I was about to leave the business because I was a little disenchanted with everything.” Huston says that being complacent in his career ultimately made him feel discouraged and uninspired. “I was going up for roles I didn’t feel any relation to, but I was doing it to work. By that, you sort of maybe fall a bit out of love with what you do, and I’ve always been someone who loves what I do in every aspect of life,” he says. And we all know how the rest of that epic story goes. “When you talk about overcoming things, I think it’s overcoming your own fear of failure. I was always doing what I thought was the right thing to do rather than doing the things that I wanted to do,” he explains. Letting go and coming to this realization was not only freeing for the actor, but changed the course of his entire life. “The moment I started realizing that you’re never gonna be right for every role, but you should be focusing on the roles that you are right for, at least, or the ones you believe in,” Huston says. From then on, every project for Huston has been one of passion. “It was a very good turning moment in my own brain of [realization],” he says. Luckily, his revival has lasted. “Stay in love with what you do. Love it as much as you possibly can, because I want to attempt to work everyday excited and ready to do the work and really put it in there,” Huston claims. We’re not all actors, but Huston’s turning point is still extremely inspiring. And seriously, thank god he didn’t give up acting. Here’s hoping that he never thinks about quitting ever again.